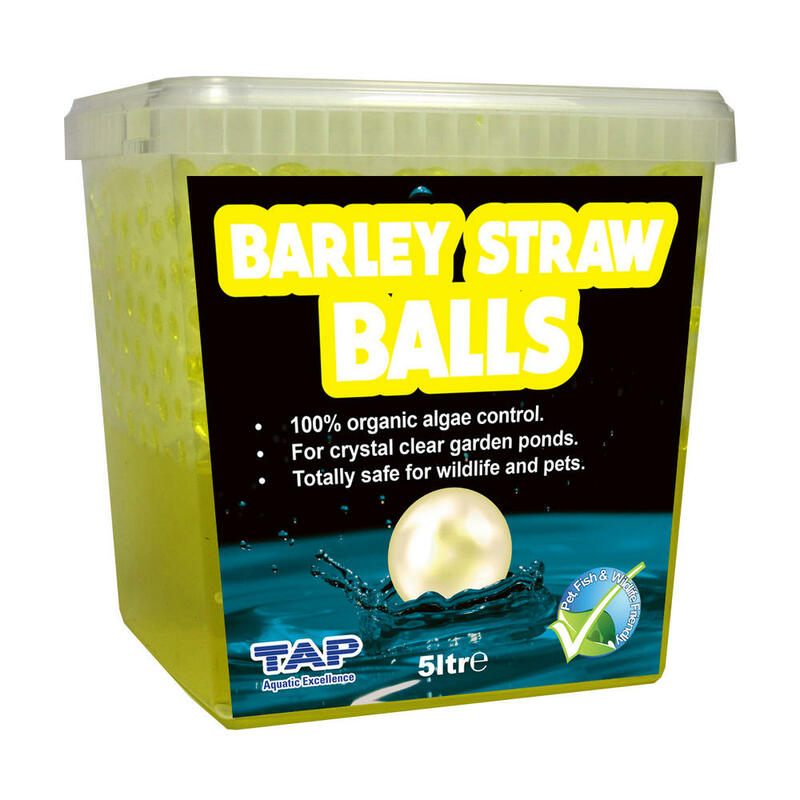 Green Water and Blanketweed can look unsightly on a ponds surface. 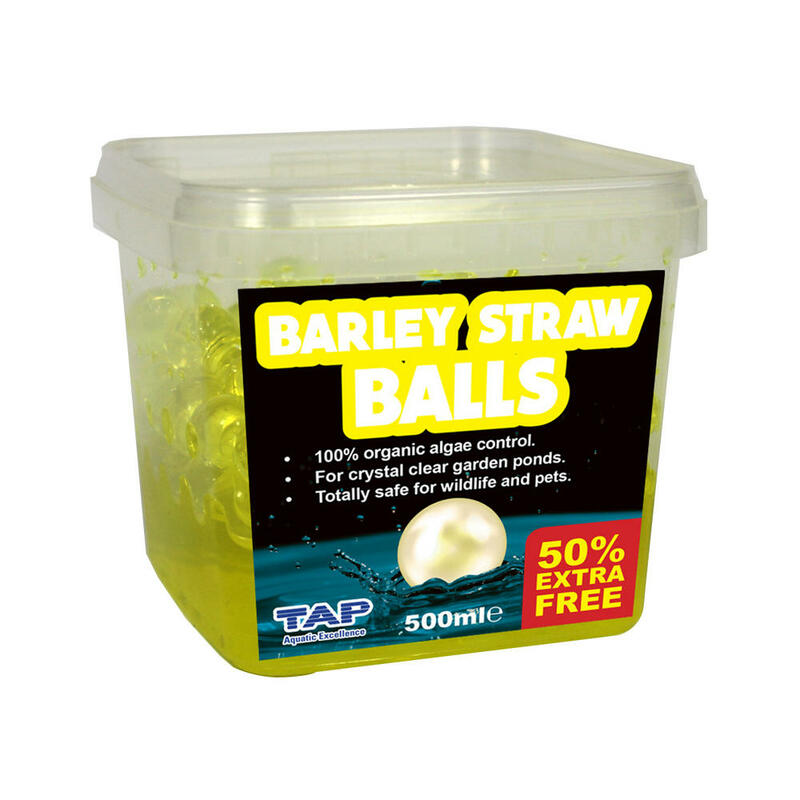 The Blanketweed can damage your pond pump or filter while any green water present in the pond can limit visibility to the fish and could start to effect the delicate balance of oxygen levels present. 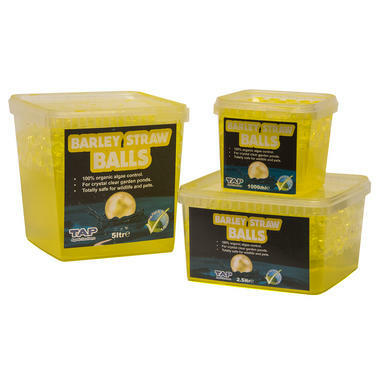 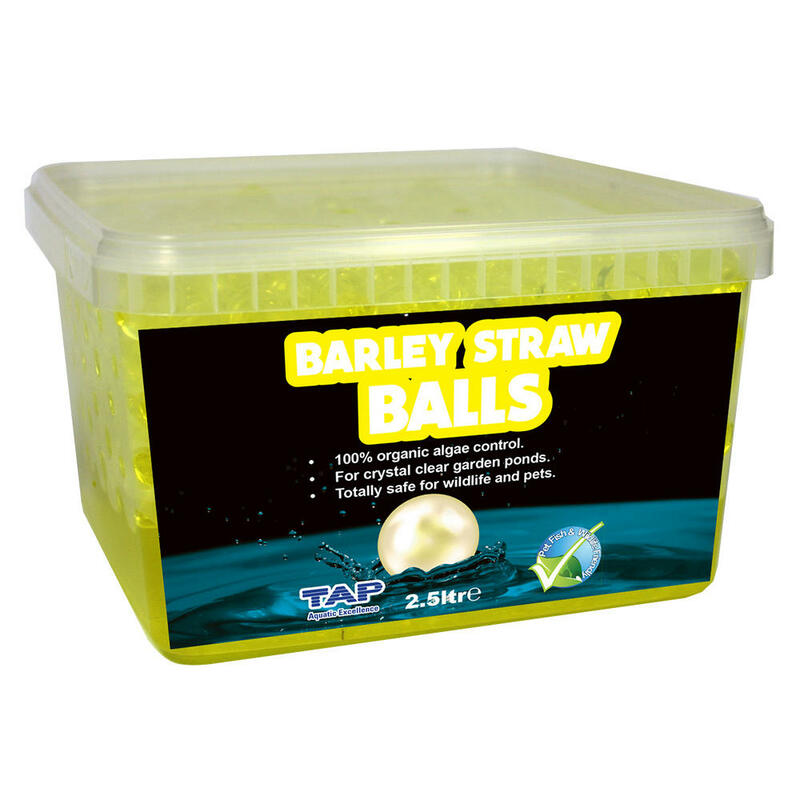 The TAP Barley Straw Balls is a natural alternative to treat Green Water and Blanketweed and produce a clear pond. 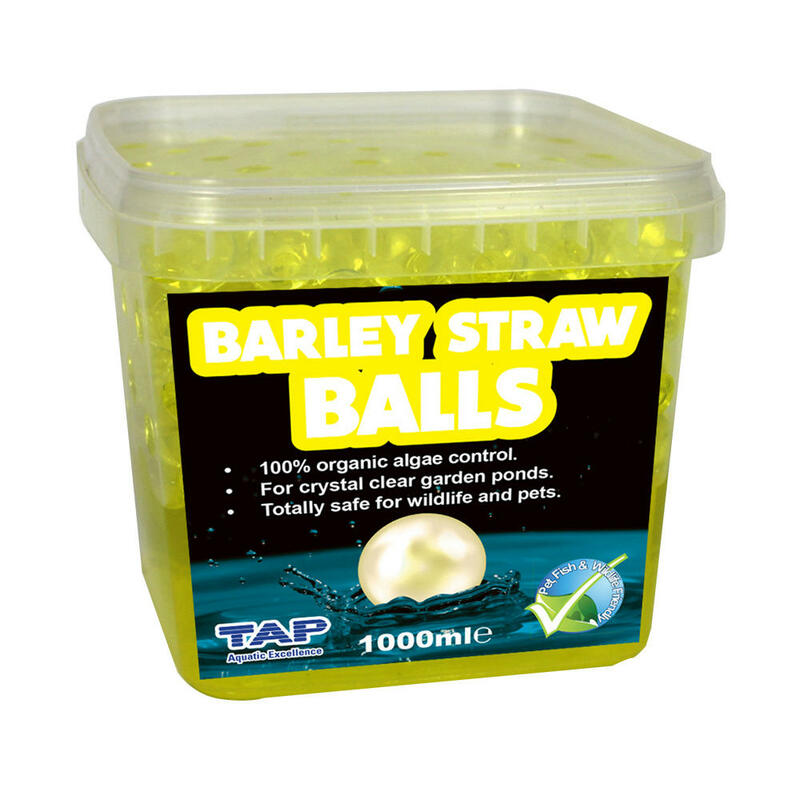 The balls can be added to the pond or into the filter and have a biodegradable organic gel casing that dissolves to add the treatment to the pond in a slow release form. The Gel Balls are easy to use and eliminates the need to use unsightly straw bales in the water.